For an innovative overall approach of the daily professional cleaning activities. Top performances in quality, hygiene, safety, ergonomics and sustainability are essential when it comes to the daily professional cleaning. Ecodos Method is an innovative method, which can ensure a great result in all these areas. The cleaning agents and the microfibre technology strengthen each other greatly and in combination with the Ecodet Microfibre Laundry Detergent, the materials will last a long time. 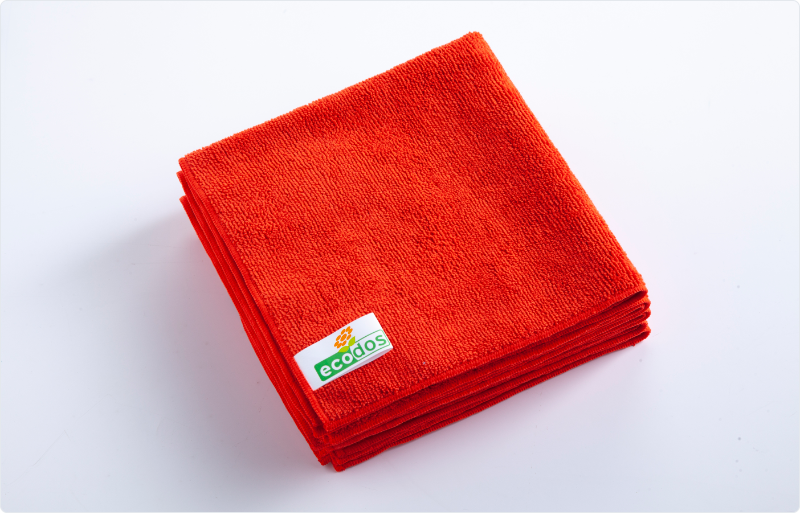 The microfibre cloths and flat mops from Ecodos have great advantages compared to the traditional cleaning methods. In combination with our cleaning agents, the microfibre technology provides a faster, cleaner and streak-free result. 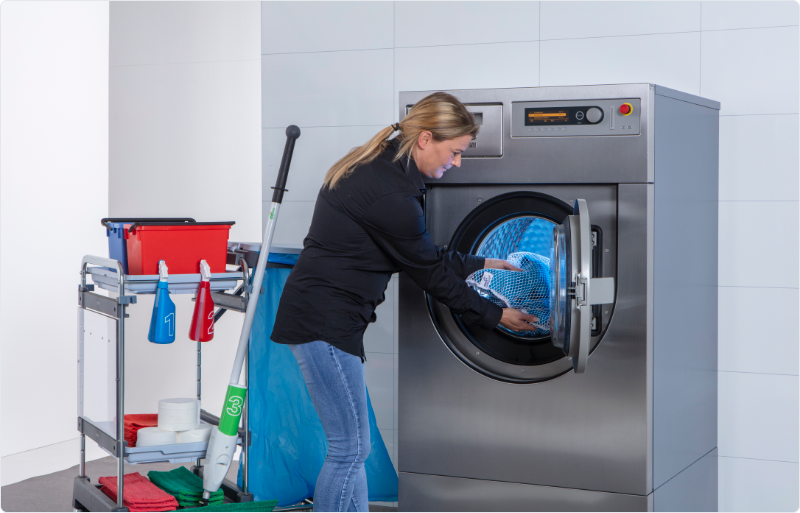 The microfibre materials are more ergonomically in use, due to their ability to clean with less friction. In addition to the Ecodos Microfibre Cloth, we also have the Ecodos Microfibre Glass Cloth for smooth and shiny surfaces, such as mirrors and display cabinets. Ecodos combines highly concentrated, ecological cleaning agents with intelligent dosing equipment. The range of cleaning agents consists of products such as interior cleaners, washroom cleaners and floor cleaners. The products are up to 10 times more concentrated than general cleaning agents and are certified with the European Ecolabel, if possible. The dosing equipment is extremely user-friendly and gives an accurate dosage. On top of that, the data can be generated and can be used to steer on efficiency and ecological performances. The Ecodos eMop can be called innovative in all areas. 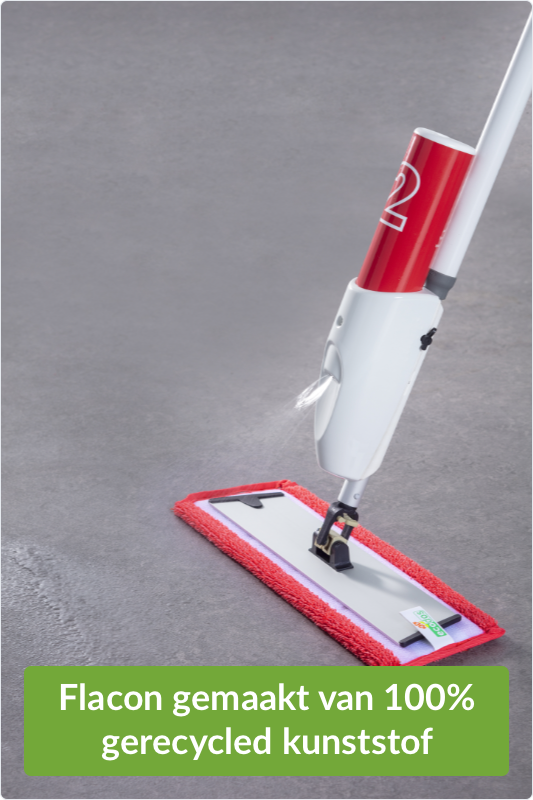 The cleaning solution is spread out in the entire length and directly in front of the flat mop, which ensures the correct spreading in the correct place. Furthermore, the sprinkler handle is very ergonomically in use, carrying buckets of water or wringing out cleaning cloths is no longer needed with the microfibre flat mop. The handle is adjustable in height and the sprinkler can be used with a light touch of the button. is provided with a charging point, which allows your employees to charge the eMop after each use. Microfibre cloths can last a long time, if they are cleaned accordingly. That is why we have developed Ecodet Microfibre Laundry Detergent. The highly concentrated ecological laundry detergent is specifically developed for the frequently washing of all types of microfibre cloths. It does not contain bleach, does not leave any residue and does not affect the fibres. 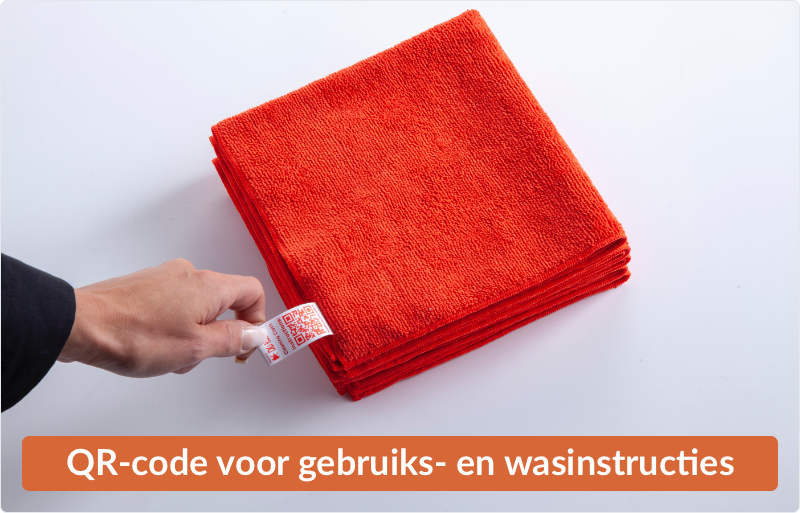 That is how you can insure the maximum lifespan of you microfibre cloth.